Presented by The Kinkonauts. 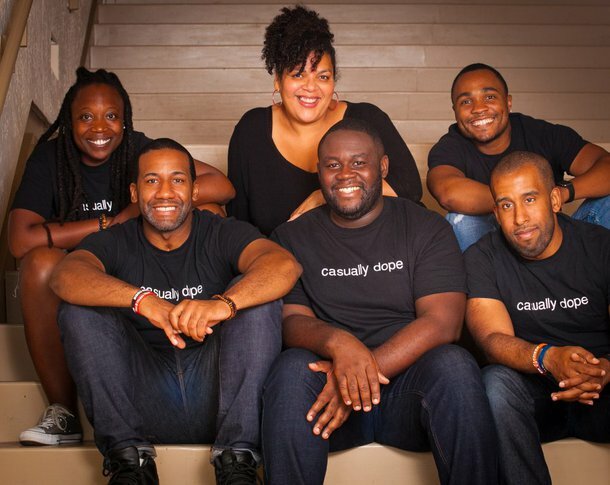 Casually Dope (Baltimore) is a unique troupe representing the underrepresented in improv. With their mix of high-energy, hip hop-inspired improv, they create characters you’ll never forget, and leave you as satisfied as your mama’s sweet potato pie. These powerful performers are committed to intersectional improv and use the stories of their community to make you laugh and create a show like no other. Casually Dope has appeared at the Black and Funny Festival (Minneapolis) and Combustion Festival (Toronto). Featuring opening act: The Bloody Marys!